This wooden token is 1.5" round. The artwork area consists of a sharp digital CMYK direct print on one side. Print on second side or include white for an additional cost. 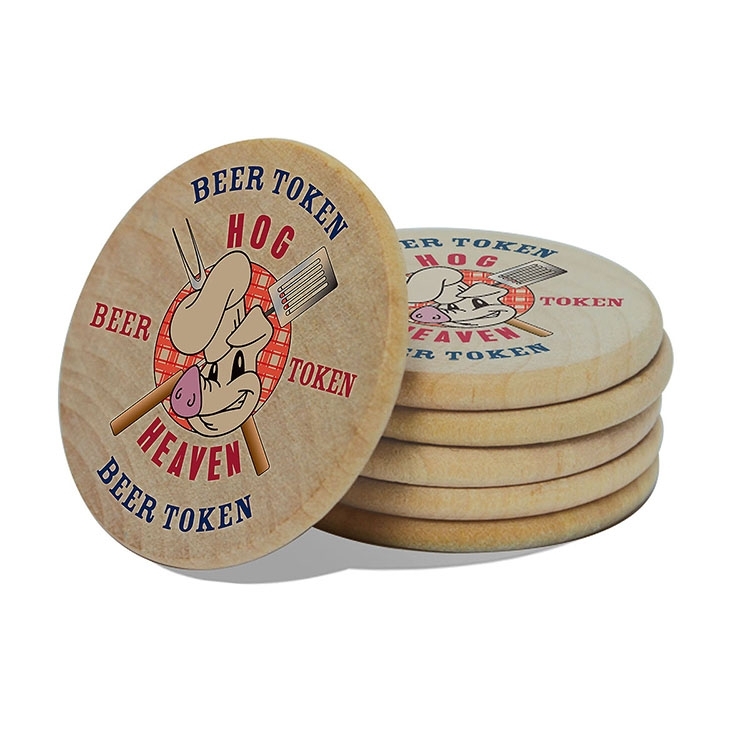 These are great for drink tokens, coupons, raffles, ball markers, beer tokens, coins, souvenirs and much more. Solid wood. 100% made in the USA. Note: Due to irregularity in product size and shape, imprints may be slightly off-center. Side 1 and Side 2 printing will be randomly oriented to one another. Additional lead time required for quantities over 2500 pieces. 3 Working days lead time up to 2500 pcs. Additional processing time required for larger quantities. Call for lead time estimate.